This family lost a relative to Cyclone Idai. Here they stand next to the grave in Chimanimani, Zimbabwe. While the country’s death toll currently stands at 84, Mozambican President Filipe Nyusi is estimating that number could rise to more than 1,000, according to the Associated Press. And that’s just for one country; the death tolls for other affected countries like Zimbabwe and Malawi may continue to rise as governments begin evaluating their situations. In Zimbabwe, at least 89 people are dead. In Malawi, at least 56, per Africa News. “It is a real disaster of great proportions,” President Nyusi said to state Radio Mozambique, according to the AP. CNN reports people in Mozambique are still awaiting rescue on their rooftops in places like Buzi where floodwaters remain high. At least 67 schools and 24 health units have been affected across the country according to ReliefWeb, and many areas are without power. To make matters worse, the rains are expected to continue through Thursday even though the cyclone has dissipated. The deadliest storm on record in the Southern Hemisphere is Cyclone Leon-Eline in 2000, which killed some 800 people in this same region, as noted by Weather Underground co-founder Jeff Masters in a blog post. Even if the death toll doesn’t increase, Cyclone Idai is already among the deadliest tropical storms this part of the world: So far, it’s No. 5. The people of Mozambique, Zimbabwe, and Malawi aren’t prepared because, well, storms of this strength aren’t all that common in this area. 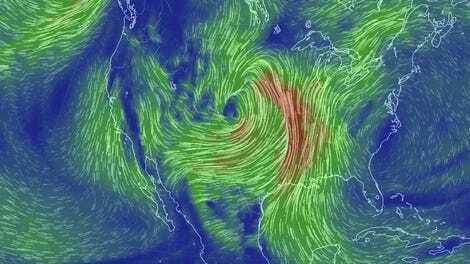 The last time these countries experienced a storm this intense, Masters said, was Leon-Eline in 2000. Though that storm was much stronger—a Category 4—it didn’t hit Mozambique the way Cyclone Idai did. Idai had all the makings of a meteorological horror story. It was moving slowly, contributing to extreme rainfall conditions, including about 2 feet of rainwater in Beira. The storm also hit during high tide, which made the surge much worse than it would’ve been during low tide. On top of that, the cyclone came ashore just north of Beira where the surge could move into the Pungwe River delta, which exaggerated the flooding conditions. 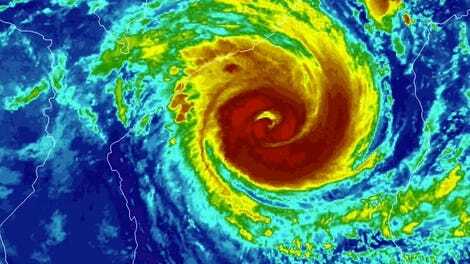 “Idai was a near-textbook example of a cyclone inflicting maximum flood damage on this part of Mozambique,” said Bob Henson, a meteorologist at Weather Underground, to Earther in an email. 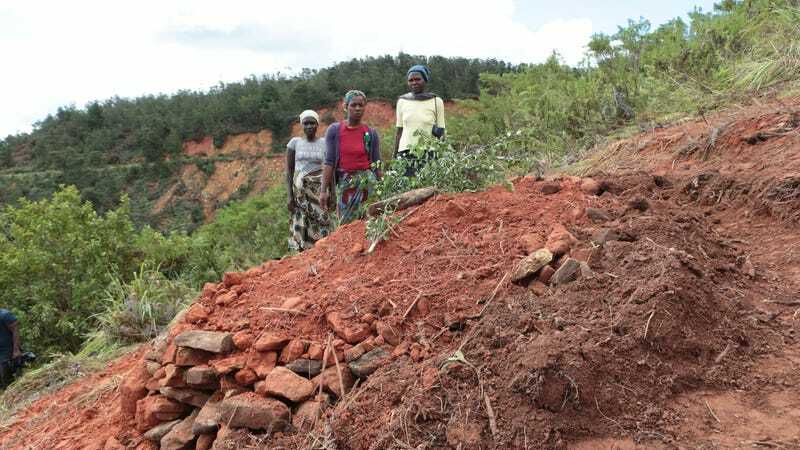 In Chimanimani, Zimbabwe, a family digs for their son in the mud after Cyclone Idai hit. Idai was borne from the same system that was already causing downpours in the area in the week prior, explained Masters. A tropical disturbance over land dumped one to two feet of rain over Mozambique some two weeks back, with one station recording 11 inches in just 12 hours March 7, he said. Once that disturbance moved over the water, Cyclone Idai formed. We can’t be sure how much of a role climate change played in Idai, but science is telling us that these type of extreme weather events will become more common in a warmer world with higher ocean temperatures. Even though they had little to do with causing this mess, African governments need to be better equipped if they want to safeguard their communities. Experiencing both flooding and droughts, Mozambique currently ranks third in Africa in terms of its vulnerability to these types of events.